This detailed map covers the west of Scarborough with coverage extending from Victoria Road westward to Stepney Hill and Throxenby Hall. Features include Falsgrave, St James church, Hydropathic Establishment, Excursion station, Scarborough & Whitby line with Goods station, Falsgrave Road, Holy Trinity church, trams and depot, Scalby Road, cemetery, Old Borough Gaol, St Columba's church, Columbus Ravine, Prospect Road. On the reverse we include a list of private residents, A-K. The map links up with Sheet 78.13 Scarborough Central to the east. And here is an index map showing the area covered. 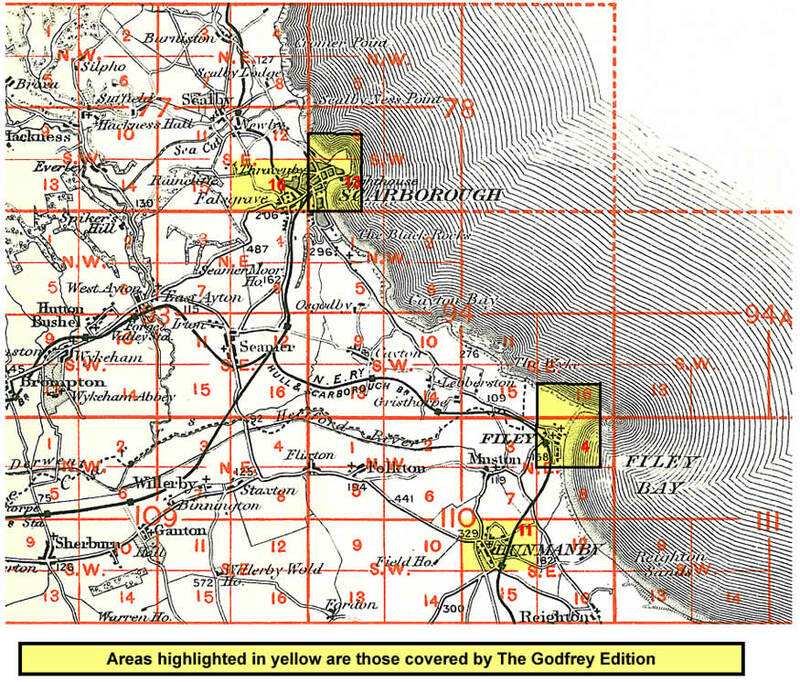 Maps in the Godfrey Edition are taken from the 25 inch to the mile map and reduced to about 15 inches to the mile. Follow this link for a complete list of our North Yorkshire maps; or here for the whole Yorkshire series.